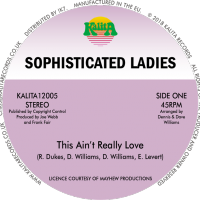 Kalita Records are extremely proud to announce their first release, the three choice cuts from NST Cophie’s (Ernest Koffi’s) super rare private press Ivory Coast 1980 Afro-disco album ‘Mon’Da Center’. After moving to Paris in 1976 and having played with other well-known bands such as N’Bamina, Osibisa, and with numerous artists including Jimmy Hyacinthe and Papa Wemba, ‘Mon’Da Center’ was Ernest’s first solo album. Recorded at Studio Caroline in Paris’s 20th sector over the space of one week, this self-funded ultra-rare album regularly exchanges hands for eye-watering prices. 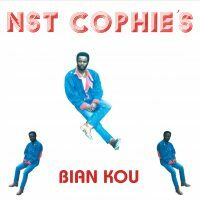 Pretty much unknown except to the most hardened of diggers, ‘Bian Kou’, ‘E Clôlo’ and ‘Mioukouna’ are guaranteed to set any dance floor alight, with hypnotic Afro-disco grooves, killer drums and angelic female vocals . We hope that you love the tracks as much as we do, and invite you to join us in celebrating the musical world of Ernest Koffi, all on glorious 180 gram vinyl!